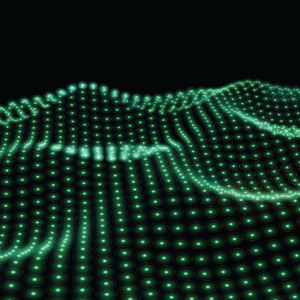 What is the zeta deviation? Zetasizer: What is the zeta potential deviation? The Malvern Zetasizer software report for zeta potential shows a parameter that is called Zeta deviation. This parameter is shown directly below the mean Zeta potential. The mean zeta potential is derived from the fast field reversal (FFR) phase analysis light scattering (PALS) technique. The fast field reversal provides a single number from the analysis. This single number is the mean zeta potential. 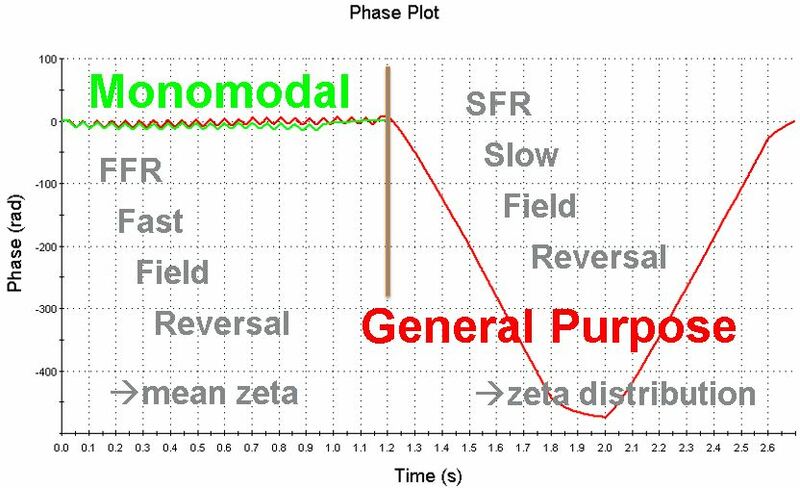 The slow field reversal [also known as SFR] can be used to determine the zeta distribution, a distribution of different charge values from the sample. When a complete zeta distribution is obtained, the bin values of the distribution can be used to derive an overall standard deviation of the mean. The mean (from SFR) is by definition the same as the one from FFR. This deviation therefore, can only be obtained if there is a distribution, and thus it is only available if a slow field reversal measurement was taken. The first and simplest one is monomodal analysis. This analysis only applies a rapidly alternating electric field (of approximately 20Hz) and is also called fast field reversal or FFR. It will only obtain a mean zeta potential. The second technique is called general purpose. This will apply a combination of fast field reversal and slow field reversal (a constant field for about 0.6secs in one direction, followed by the reversed field for the same length, but after a short rest of 0.2 sec with no applied field). It will obtain both a mean zeta potential as well as a zeta potential distribution. It is recommended that this general purpose mode only be used for up to 150 mM salt. The reason for the limitation is that in high salt solutions Joule heating and other negative influences could damage the sample. The third and most intelligent analysis mode is the auto mode. With this setting, an algorithm in the software will automatically decide whether a general purpose [both FFR and SFR] or a mono modal [FFR only] analysis will be performed. The software decides based on the measured conductivity of the sample. If the sample conductivity is higher than five milli Siemens per centimeter (5 mS/cm)the software will apply only fast field reversal, in other words only a mean zeta potential well then be obtained. How can I get an idea of the quality of my Zeta result? We would recommend that you look at the Zeta quality report. If there are no negative indications of issues with the phase data, then the result should be reliable. Another useful suggestion is to look at repeated runs. When highlighting several records the software will show the mean and the standard deviation of the highlighted values. This is shown at the bottom of the records view tab. With this information it is straightforward to get a standard deviation and thus an error determination of the records. 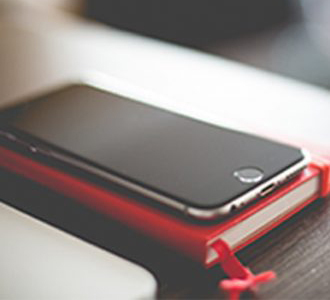 This is the best method to assess a standard deviation for monomodal analysis results. What are typical values to expect for the deviation of zeta potential? It gets increasingly difficult to measure zeta potential values close to charge neutrality. A good rule of thumb is to expect about 10% of the mean value as zeta deviation. However, when getting closer to zero, this deviation is likely to be about two millivolts (2mV) or larger. As guidance, a good expectation for a zeta potential deviation is 10% or 2 mV – whichever is larger. 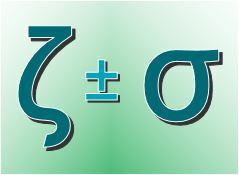 An alternate way to express the typically achievable zeta ζ deviations would be a σ of 10% relative but not less than 2 mV. Help: Why is there no deviation? 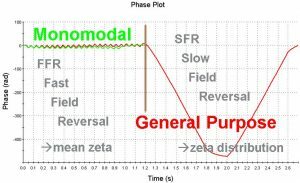 When only FFR = monomodal analysis is performed (either because it was specifically requested in the experimental setup, or due to the conductivity of your sample being higher than the cutoff in the automatic mode) then no zeta potential distribution is obtained (because that requires SFR). Since there is no zeta distribution, there is no standard deviation of the mean, and this is indicated as 0.00mV on the standard Zeta Potential (M) report tab in the software. To get an idea of the ‘error in zeta’, do a set of repeated runs to look at the statistics (i.e. its mean and standard deviation) of the mean zeta potential. Should there be no statistics bar in the records view, add it by selecting the Records View tab, and then select in the main top menu View – Statistics Bar – and place check marks in front of Mean, Standard Deviation, and Relative Standard Deviation. The statistics for any highlighted records are then displayed in the three grey rows at the bottom of the active window. Hope the above eliminates some confusion about the zeta deviation in the Zetasizer software.